Departement of the Bouches du Rhone - Population : 45.563 inh. 15 km East of Marseille on A50 and A52 freeways and N8 and N98 roads. 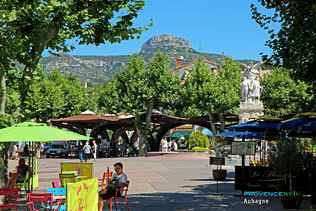 Situated between Marseille and Cassis, and not far from the St. Baume mountains, Aubagne is the birthplace of Marcel Pagnol. This writer and film producer who glorified Provenceand its culture through his wanderful characters, spent his youth in Aubagne. He is the pride of the village and there are exhibitions and culture walks dedicated to him. 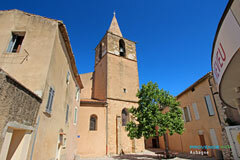 Aubagne has developped rapidly in the last few years; the center of town has been renovated and the old quarters restored. Because of the clay in the soil, Aubagne has been the center for pottery since ancient times and today is the leading city in Provence for the famous santon figurines. 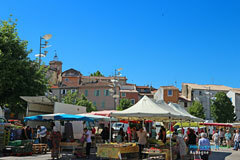 Even though Aubagne is economically dynamic it has managed to keep its authenticity as a true Provençal community. Marcel Pagnol museum at the tourist office. 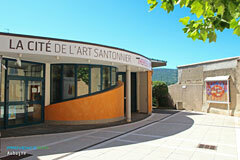 Les Therese Neveu workshop: on clay crafts and exhibitions. 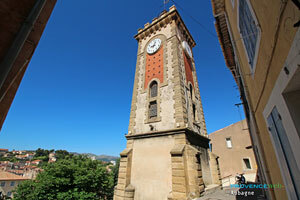 Guided tours of the historical center of Aubagne and of the film productions of Marcel Pagnol. Gémenos (4km), Roquevaire (5km), Carnoux en Provence (6 km), Roquefort la Bédoule (6km), Cassis (10 km) and Cuges les Pins (11 km).